You asked, we listened! CIRI's 31st Annual Investor Relations Conference is coming to Toronto in 2018! Join us and your IR peers to re-energize your IR practices and expand your IR network. CIRI's Annual Conference provides the inspiration, education and connections needed to grow and deliver a best-in-class IR program. All cancellations must be received in writing. All cancellations are subject to a $150.00 administration fee. Cancellations received after May 2, 2018 are non-refundable. Substitutions are accepted and subject to a $75.00 Transfer fee as well as any applicable fee adjustments (member to non-member transfer). All substitutions must be received in writing. Already registered for the Conference and want to add activities? Scroll down this page to the 'Program', select the activities you want by clicking 'add to itinerary' and then go to your shopping cart to checkout. 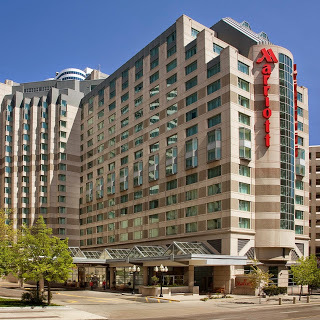 The Toronto Marriott Downtown Eaton Centre Hotel has a special conference rate of $239.00 per night. Rates are guaranteed until May 14, 2018.